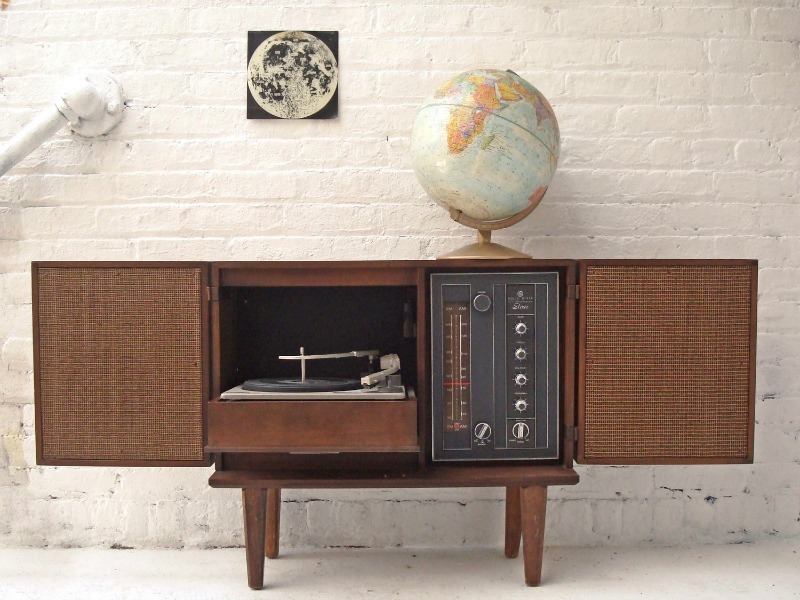 Vinyl has been making a comeback for years. 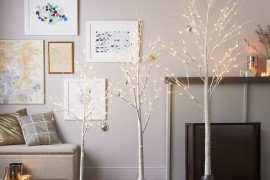 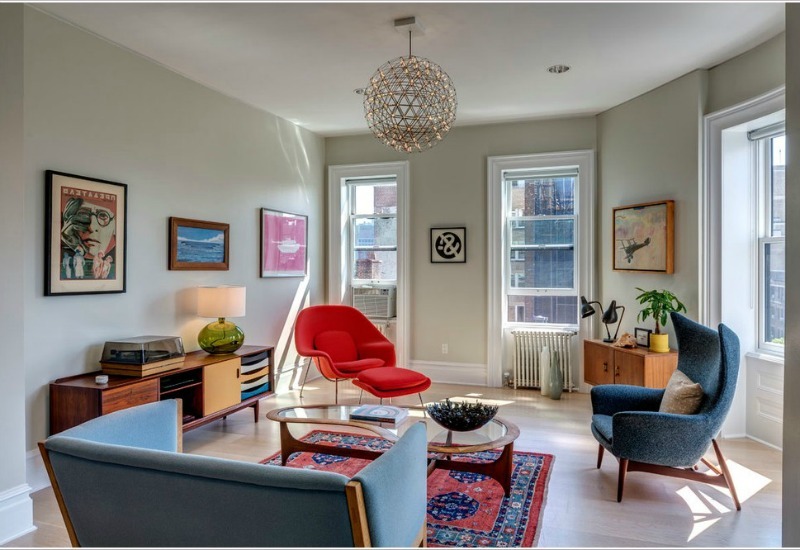 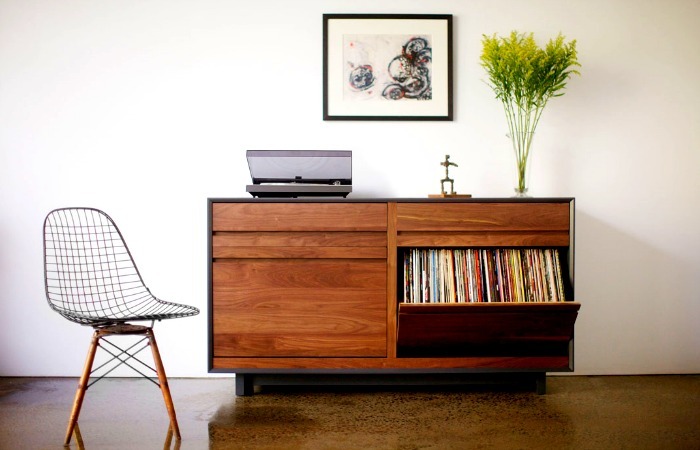 And most often the people who appreciate the great audio quality that LPs and a solid soundsystem can bring to a room are also the ones who appreciate modern living space decor. 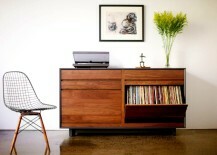 Enter the record-player cabinet, which provides size-appropriate space for albums, record players and, depending on the model, either includes built-in speakers or gives space for you to wire your own into the unit. The vinyl comeback never looked so good. 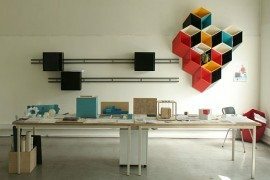 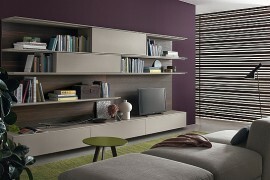 Wondering how to integrate your new console into an existing room? 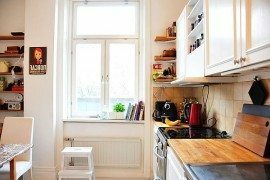 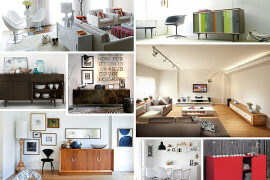 Just consider it a sideboard or cabinet—unless you want it to be a focal point. 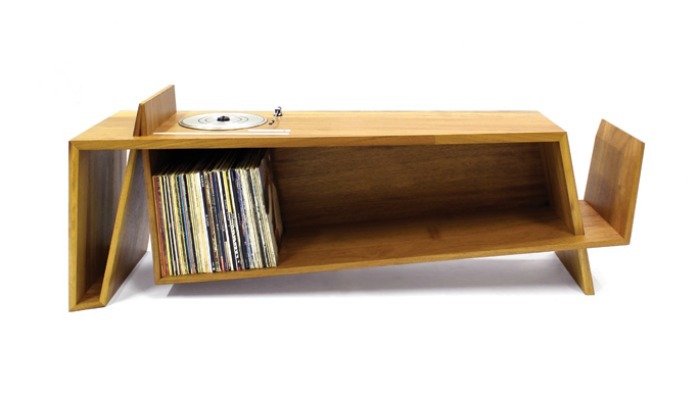 The four pull-down LP storage drawers in this unit by Blake Tovin can hold up to 640 records—and there’s still room for CDs and DVDs too. 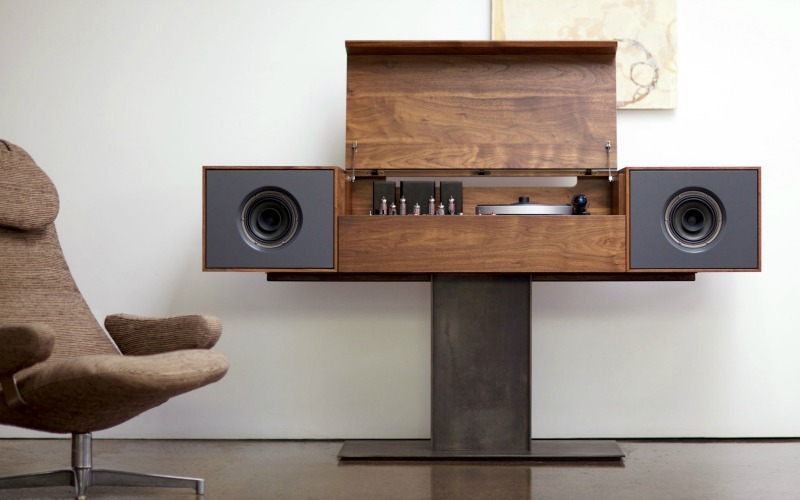 Called the flagship of the Symbol audio line, the Modern Record Console “pays homage to ‘all in one’ console hifis of the 1950s, an idea whose time, we believe, has come around again,” according to the unit’s webpage. 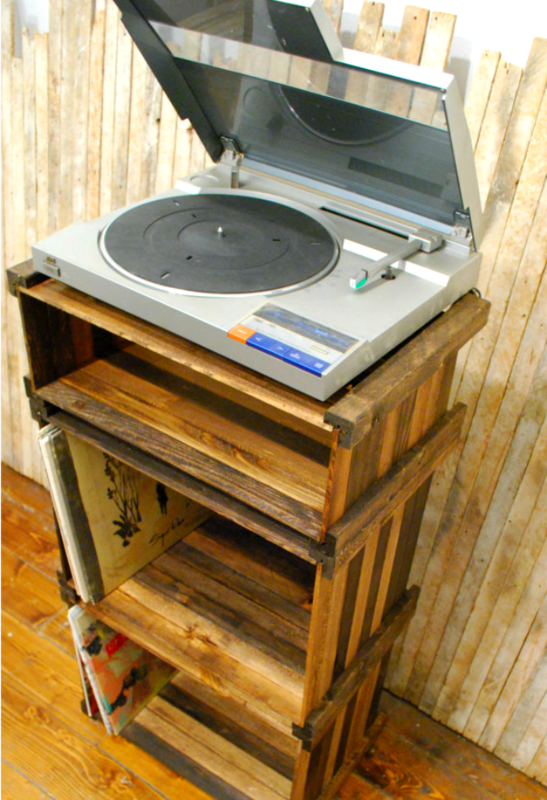 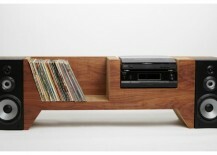 If you can’t find exactly what you’re looking for, need to fit specific components, or want something truly unique like this unit, you can always work with a carpenter/craftsperson to design the perfect record-player console for your needs. 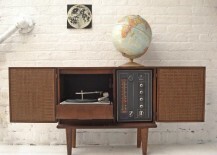 Of course, you can also go retro and find a true vintage unit—your record player might need a new needle, and you should check the wiring, but the technology hasn’t changed all that much, and you can get great sound from these units decades later. 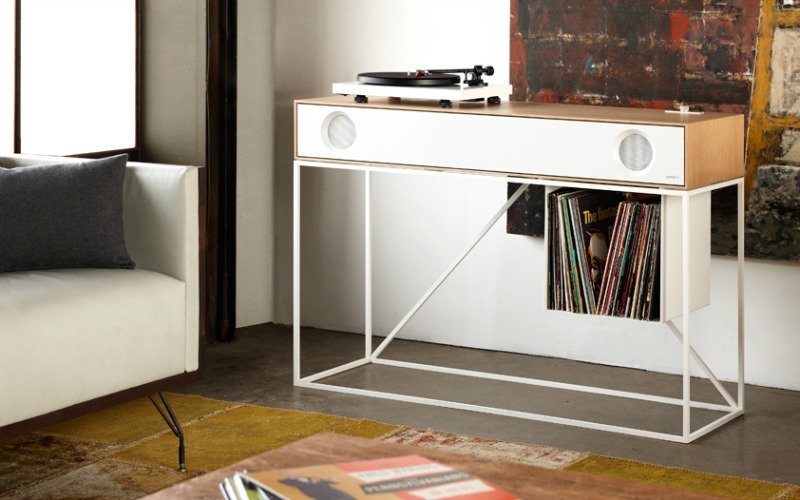 The stereo console from Symbol is a spare, modern beauty, perfect for if you are looking for a record set-up that feels relatively light and you don’t want a cabinet. 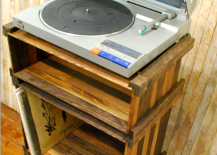 If you are looking for an inexpensive record-player setup, this one from Etsy seller Paperish Mess Made is a simple and space-saving solution. 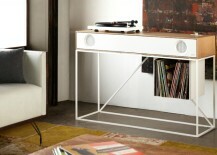 This beautiful and interesting record-player console is designed and made by Cush Design Studio in Red Hook, Brooklyn. 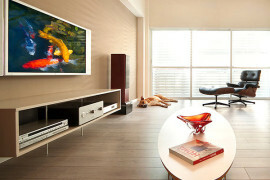 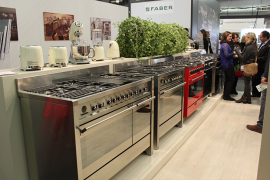 It can be sized according to your components or comes as a complete unit with audio equipment shown. 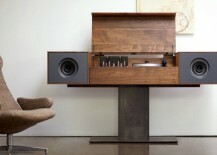 You say you want something low-profile—literally? 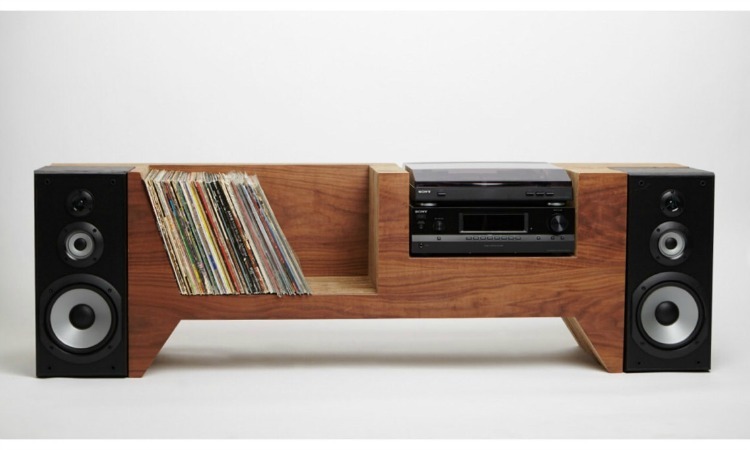 This beautiful piece from Hugh Miller Furniture is made from folded Iroki wood and has a vintage 1985 Bang & Olufson turntable set directly into it. 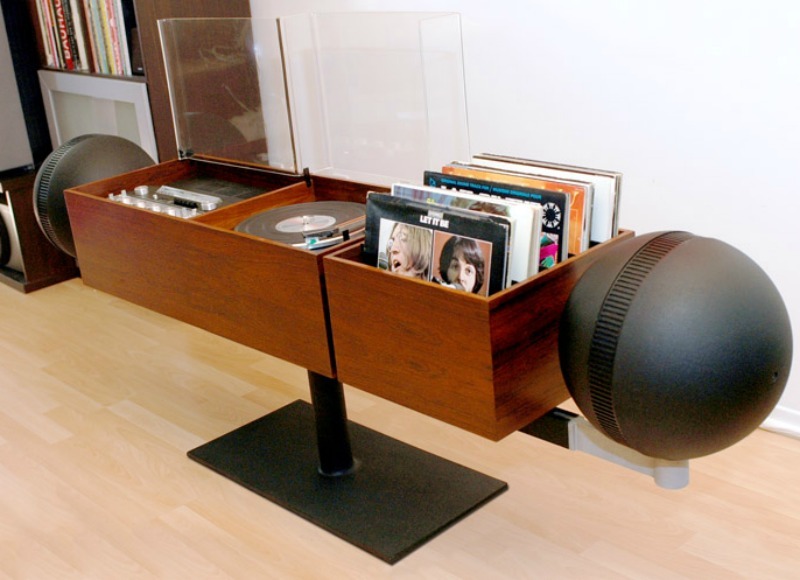 Or you can always tuck a smaller listening station into a corner to create a “music nook” that’s separate from the rest of the room, like this one.